Little, Brown Books for Young Readers, 9780316070430, 24pp. 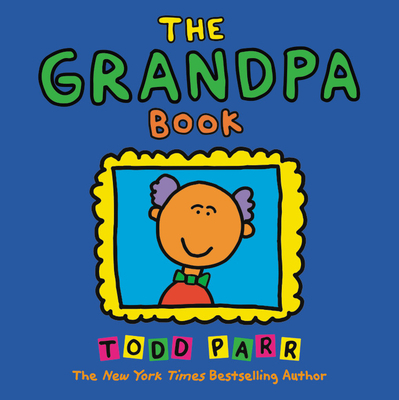 With his notable and characteristic vibrant illustrations and simple, but poignant text, Todd Parr celebrates the special bond between grandparents and grandchildren. From golfing Grandpas to Grandpas who wiggle their ears, tell stories, and give kisses, this book is a tribute to all the different kinds of Grandpas in the world. Parr's messages are funny and reassuring, making this the perfect book for celebrating grandfathers every day. With Parr's trademark bold, bright colors and silly scenes, children will be inspired to appreciate their grandmothers and all the things they do. The Grandpa Book is designed to encourage early literacy, enhance emotional development, celebrate multiculturalism, and promote character growth.